This is definitely not happening! Who knew that eating chicken at Popeye can land you such fortune! Yes, yes, it was sarcasm! Late last month, Long Island hospital employee Cameron Finney’s life took a sharp turn towards happy-land when he discovered that his $4 worth of quick pick tickets, that he bought at the Gascon gas station in Coram, actually won him $20 million! On the 25th of March 2014, Finney took his beautiful wife Donna to Popeye’s for some delicious chicken dinner. 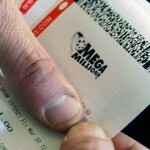 On his way home, he quickly bought Mega Millions lottery tickets worth $4 and, like any lottery winner, prayed to win the jackpot. 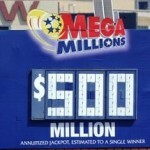 Little did he know that the Lottery Angels were listening to him and then voila! The following day came as a big shock to him and his wife! 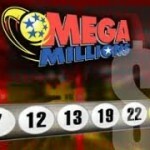 Big dreams can be achieved by this – a big fat $20 million Mega Millions lottery ticket! Upon winning the ticket, the 48-year old Mega Millions champion went to the bank to put his winning ticket in a safety deposit box after apparently sleeping with it under his pillow for two days! 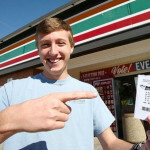 The day after he bought the tickets, Finney – who rarely plays the lottery – went over at a convenience store near his home when a clerk informed him that he had indeed won $1 million. A stunned and equally shocked Finney immediately called his wife Donna, a Cablevision executive specialist, who clearly refused to buy it! Happens often! You know, X gets lucky, calls Y, but Y doesn’t believe and then X finally shows up with proof and finally X and Y celebrate with Z! Anyhow! Finney was talking to his wife, said that Finney wasn’t taking home $1 million. Confused much? He was taking home $20 million! Finney couldn’t believe it, would you? He quickly called his wife and told her the news, but Donna refused to believe him. Finally to make matters straight, Finney requested a random customer to confirm that they had won the Mega Millions for a jaw-dropping $20 million! Long story short, Finney, who constantly wakes up in the night saying that he won’t change after becoming a millionaire, claims that he has learned a lot from other lottery players. According to him, unlike other lottery players, the cash will last until he’s gone. We sincerely hope it does! 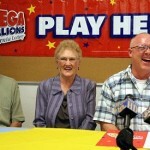 Upon claiming the winning Mega Millions ticket Finney, Donna and their 23-year old daughter Christina were presented with a gigantic check of $20 million at a lottery office in Plainview. 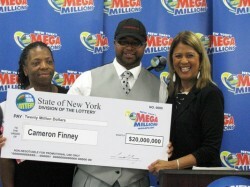 After taxes, Finney would be bringing home a lump sum of $7.4 million! That’s a big deal if you think about it!